Grant's Furniture and Interiors has specialized in quality custom home furnishings such as Stanley, Kincaid and Huntington House for over 30 years. Delivering Nationwide from our High Point, NC, and Connecticut Showrooms and Warehouses. 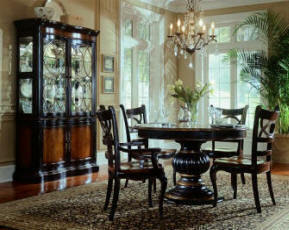 Drastic Discounts on name brand furniture everyday providing our clients with an unparalleled furniture buying experience. If you've found a lower price we will beat it on the same in stock items. Call for more details. Inspired by small New England towns, Glen Cove in white offers the "summery" feeling of coastal homes. The weathered white finish is warm and bright with slight distressing, creating a sanctuary of sunlight. While the timeless design captures a blend of high style and comfortable, casual living - perfect for lazy Saturday mornings! 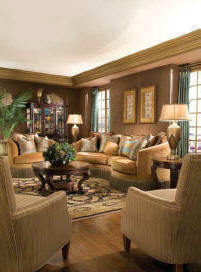 Grant's Furniture and Interiors, FurnitureAve.com © Copyright 2013. All rights reserved.